Kelly's Korner: What's on your Winter Reading List? What's on your Winter Reading List? What are you reading? Looking for new books? I'm not someone who does a lot of reading for fun even though I like to read. I just don't make time for it often. 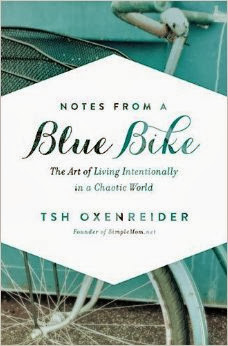 Notes from a Blue Bike by Tsh Oxenreider. I read this recently on vacation and it's about living simply and intentionally. Which sometimes I think I do the opposite of. So much of it was so different than how I approach things but yet I feel like it really gave me a lot to think about to change habits in our family. Tsh is the author of Simplemom.net. 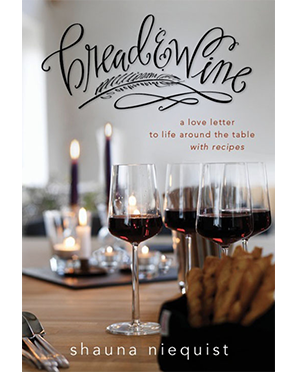 I also read "Bread and Wine" by Shauna Niequiest on vacation. This is a collection of stories of gathering your friends and family around the table and the meals that bring you together. I was SALIVATING at all the foods she talked about and she includes a ton of recipes. I actually was able to eat a meal recently with Shauna of several recipes in this book and it was TO DIE FOR. I haven't hosted dinner parties in years and now I'm ready to invite friends over and cook! 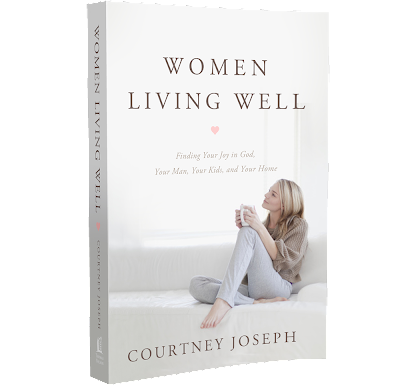 "Women living well" by Courtney Joseph. This book is all about finding joy in being a mother and wife. 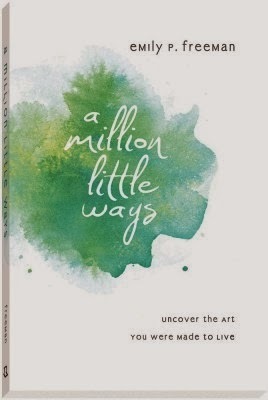 It's an encouraging book to help you relish the family you have been given and in making your home a great place to be. 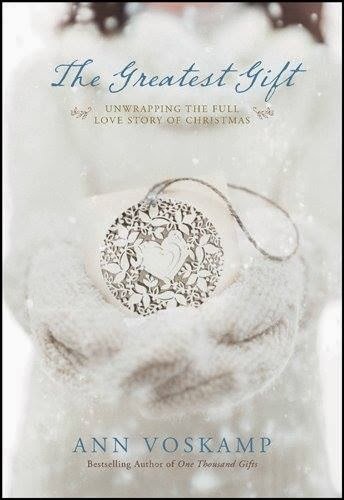 I haven't read this yet but "The Greatest Gift" by Ann Voskamp should be on your Christmas list - only buy it now! It will inspire your Christmas season. Ann is the kindest person I have ever met with a genuine love for our Saviour. She is the biggest encourager I have ever met also. I just love her and I'm dying to get my hands on this!